Shanghai Bropack Trade Co., Ltd.
We can make the lable printing according to your demand. For other products, according to your quantity. Large order, by sea or by air, according to your demand. So we can delivery in 12-24 hours after received your payment . Sincerely hope that we have the opportunity to cooperate with you in the near future. When we confirm the problem, we will send you replacement in the next order. Q How to get samples9 A The sample is free, you need pay the delivery charge, it can be return after order. Q Can I do printing or label printing on the bottles9 A Yes, we supply screen printing, hot stamping, label printing and paper label. Q What is the normal lead time9 A For stock products, we will send goods within 1-2 days after payment. 3. Can you produce colorful bottles and n ew bottles according our design9 Yes. We can make new molds for new bottles,new caps and new tips according to customers' needs. For larger orders we can ship by air to the airport or by sea accordind to customers' needs. We'll continue to be your best business partner and supplier. 4. Samples: Welcome to ask samples for quality and design checking. If you sent emails and want quickest response for our products details. Pirlo International Trading (Shanghai) Co., Ltd.
-----Printing service: silk screen printing ,hot stamping ,decal, label sticker ,etc . 1.) Lable printing: we can print the lables and help to stick on product. 3.) Packing style: Poly bag per piece, assembled or separately carton package. Xiamen Earnest Import And Export Co., Ltd.
for the small order,we will suggest you choose the DHL,FEDEX,TNT,UPS etc. for the large order,we will suggest you choose by sea 7 . ,etc, For the larger order,we will suggest you choose by sea. More custom progress for your check and reference, if you have your design, please feel free contact me. Our Company Hebei Jiazi Bio-tech company, your best partner, any request please contact me. If you are interest in our products, please feel free contact me. 10ml 58.5mm 25.5mm 18 mm Green/amber/clear/blue,etc. 20ml 71.5mm 29mm 18 mm Green/amber/clear/blue,etc. 50ml 92mm 37.2mm 18 mm Green/amber/clear/blue,etc. Yuyao Sikaer Plastic Products Co., Ltd. If you are interested in our products, please contact us any time, and also you can visit our websita: . 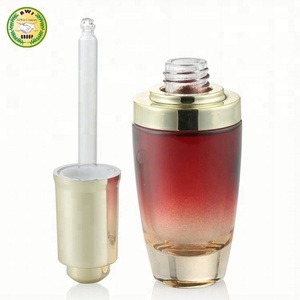 Welcome to our website for more products information: 2) Do you have stock products to sell9 It depends. Sometimes we will produce a batch of products in case that some customers may have urgent needs. 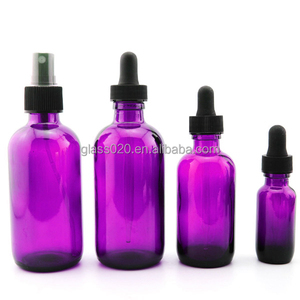 Alibaba.com offers 8,204 purple glass dropper bottle products. About 97% of these are bottles, 1% are wine stoppers, and 1% are water bottles. A wide variety of purple glass dropper bottle options are available to you, such as acid etch, hot stamping. You can also choose from free samples, paid samples. 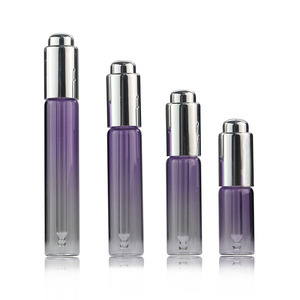 There are 8,204 purple glass dropper bottle suppliers, mainly located in Asia. The top supplying countries are China (Mainland), Taiwan, and Egypt, which supply 99%, 1%, and 1% of purple glass dropper bottle respectively. 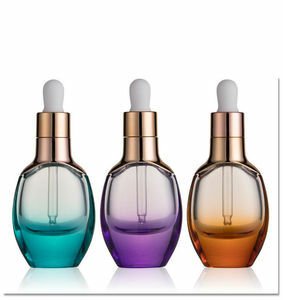 Purple glass dropper bottle products are most popular in North America, South America, and Eastern Europe. You can ensure product safety by selecting from certified suppliers, including 517 with Other, 395 with ISO9001, and 18 with ISO14001 certification.